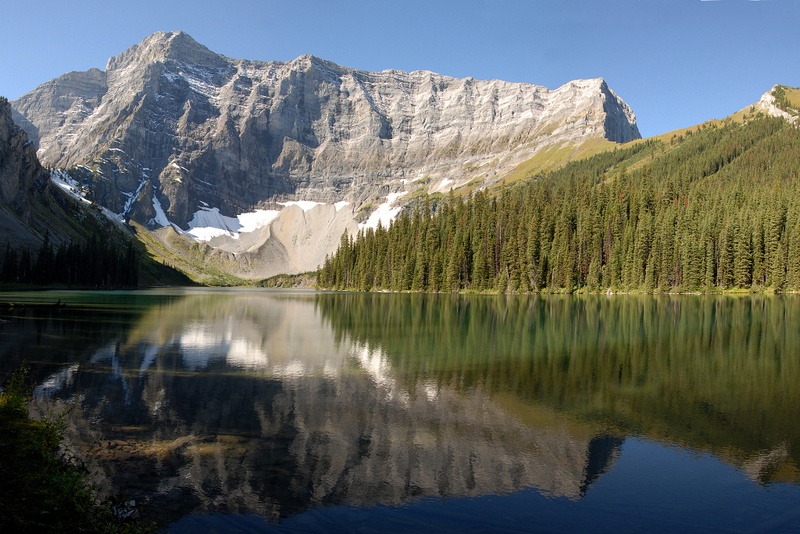 A few favourites from the many photos I’ve taken during 2 1/2 years living in Alberta. 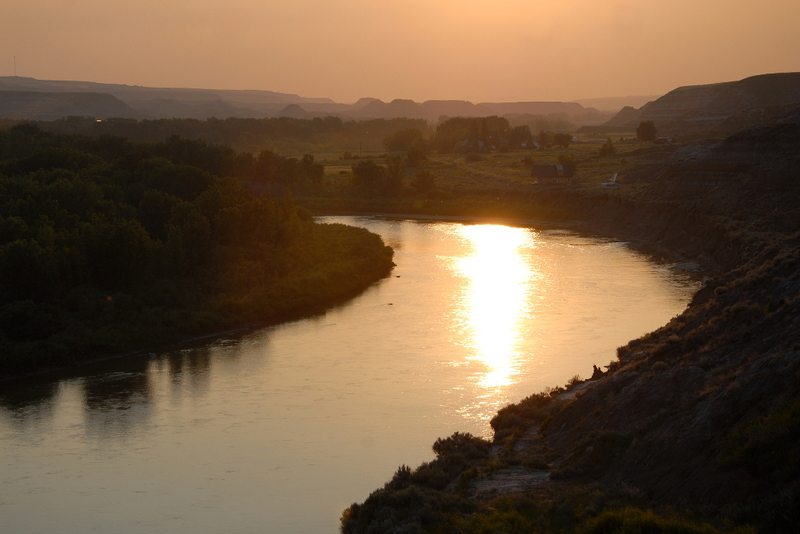 Sunset on the Red Deer River in Rosedale AB, just outside Drumheller. 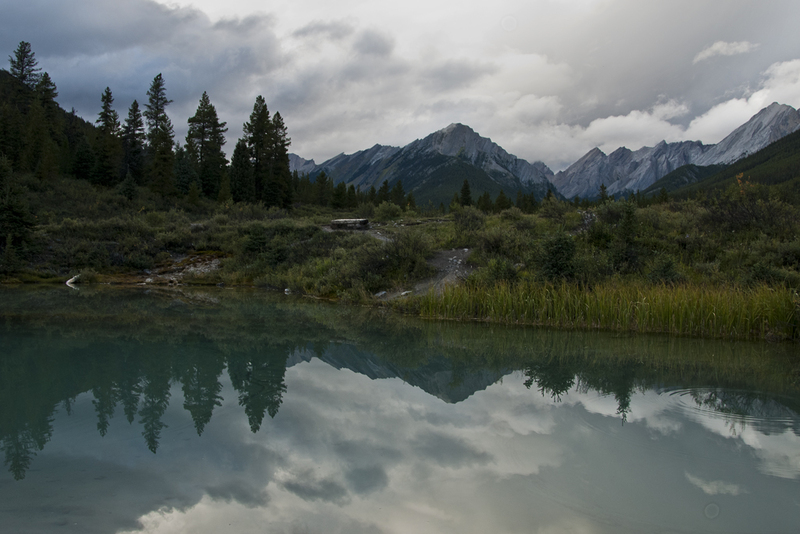 The ink pots near Johnston Canyon, Banff National Park. 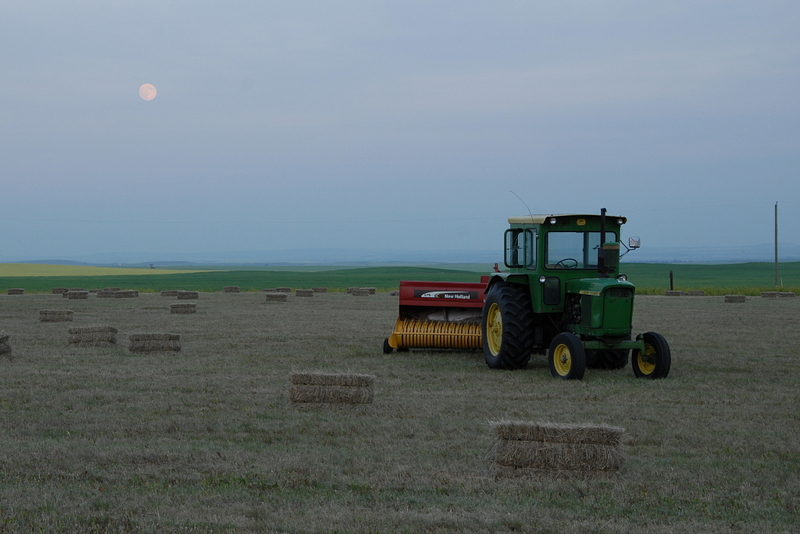 Hay bales under the supermoon outside Drumheller, AB. 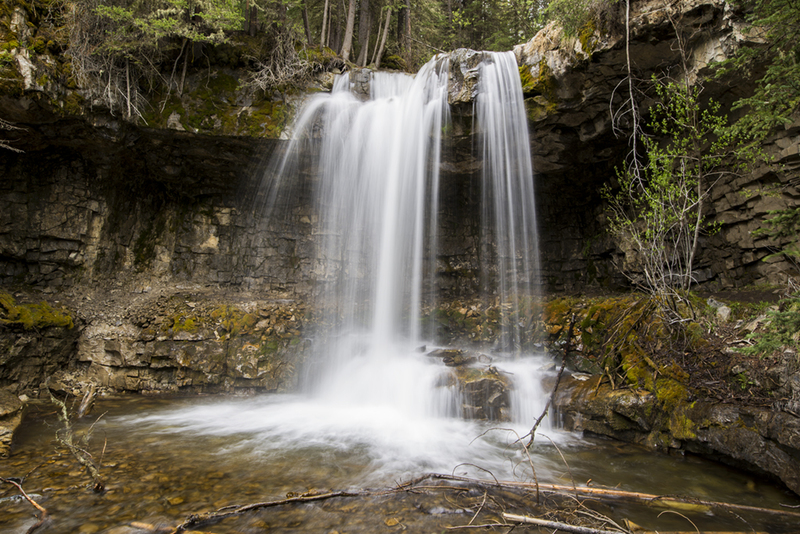 One of six waterfalls you discover if you hike upstream past Troll Falls in Kananaskis. 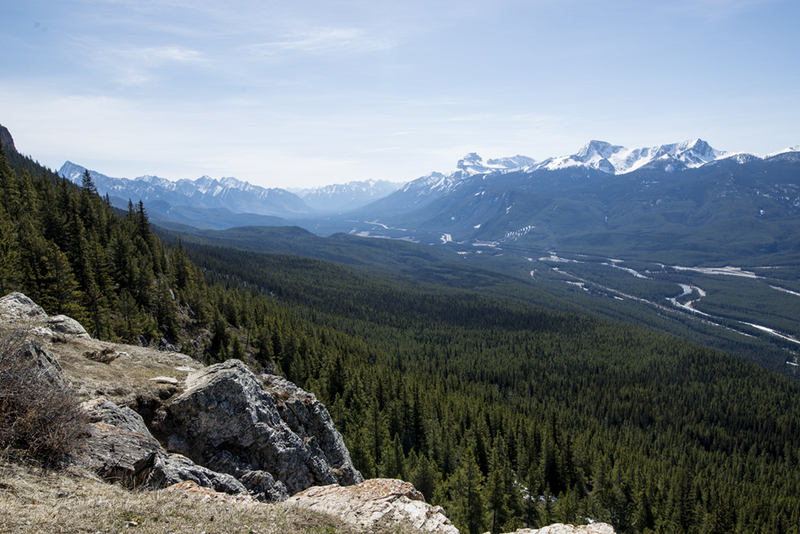 The Bow Valley from Castle Mountain lookout, in Banff National Park. 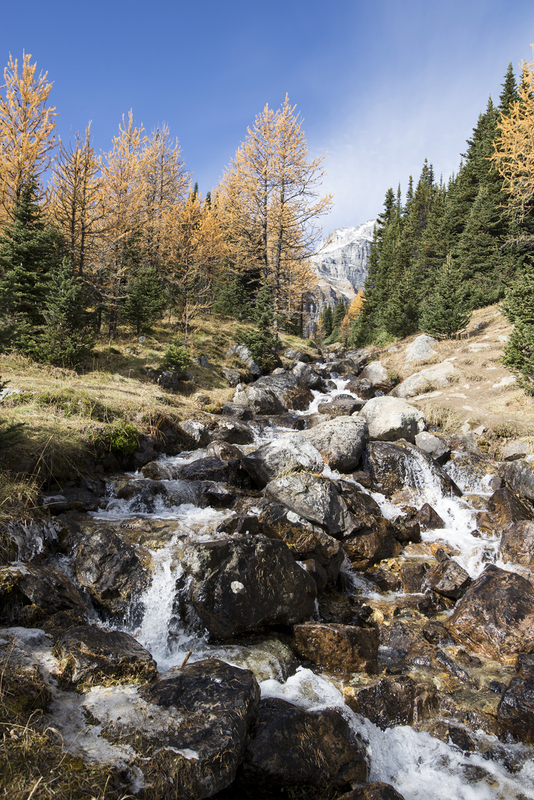 Hiked to Larch Valley near Moraine Lake to catch the golden larches on a beautiful October days. 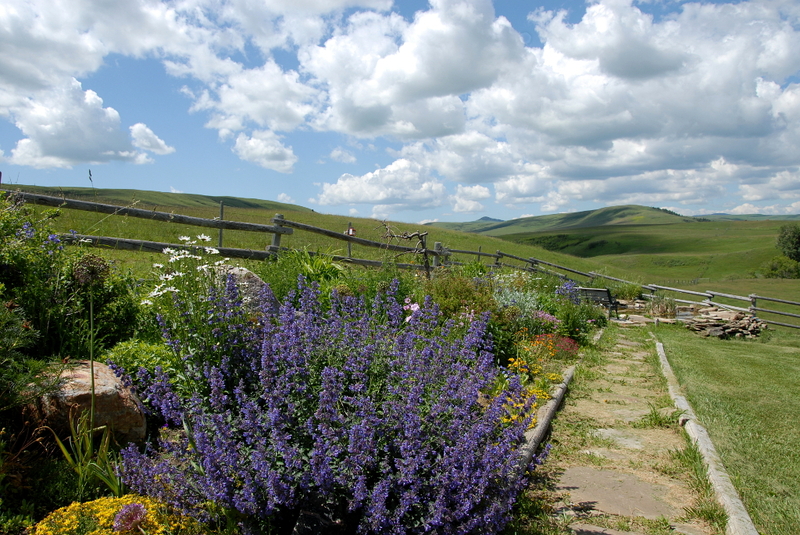 My uncle’s ranch in the Porcupine Hills. 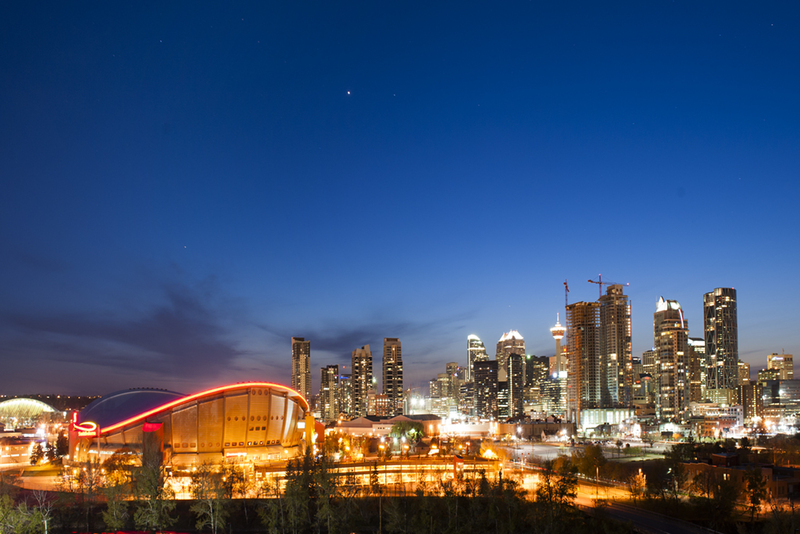 Downtown Calgary and the Saddledome. 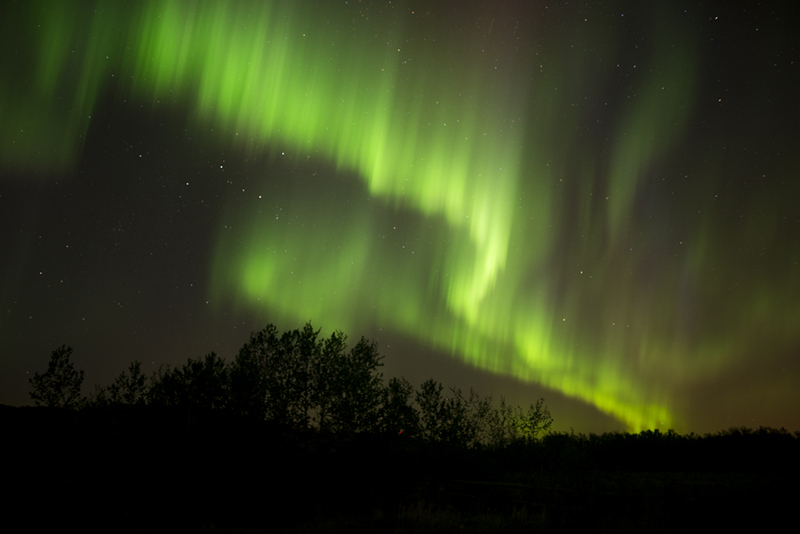 Taking photos of the sunset just outside Calgary and got my first glimpse of the northern lights. 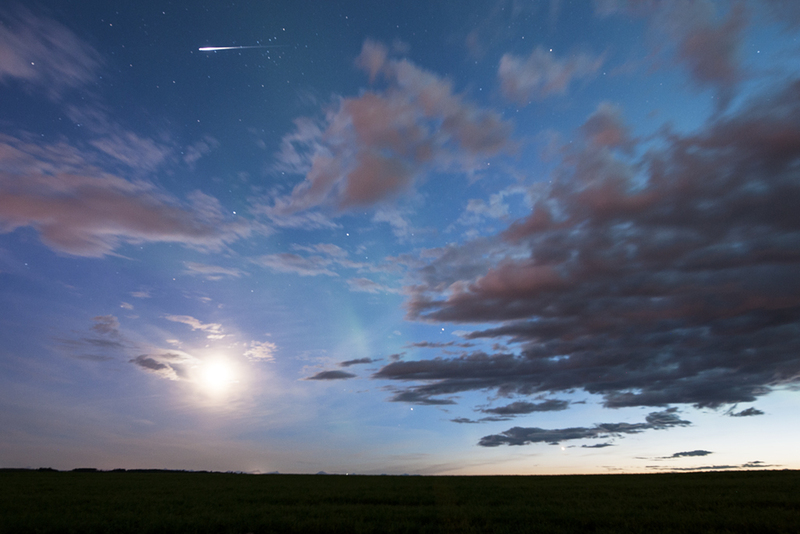 I didn’t realize until I downloaded the photos later that I’d also caught a shooting star. 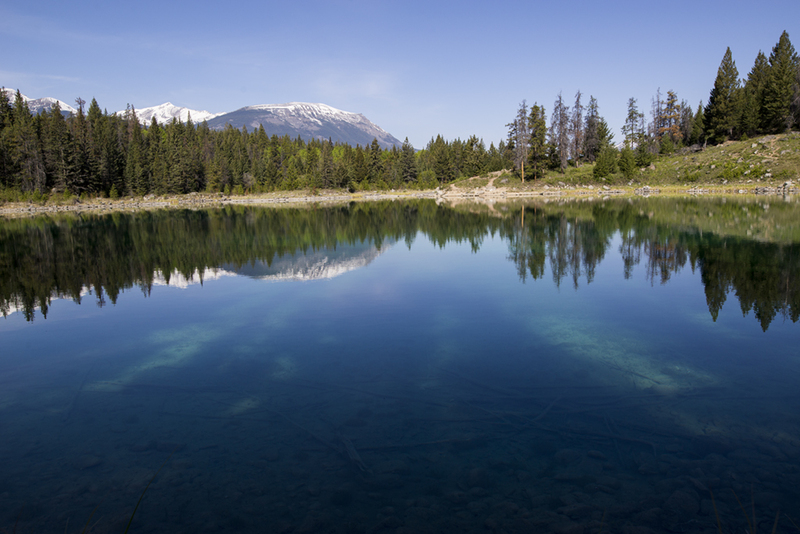 Valley of the Five Lakes in Jasper National Park. 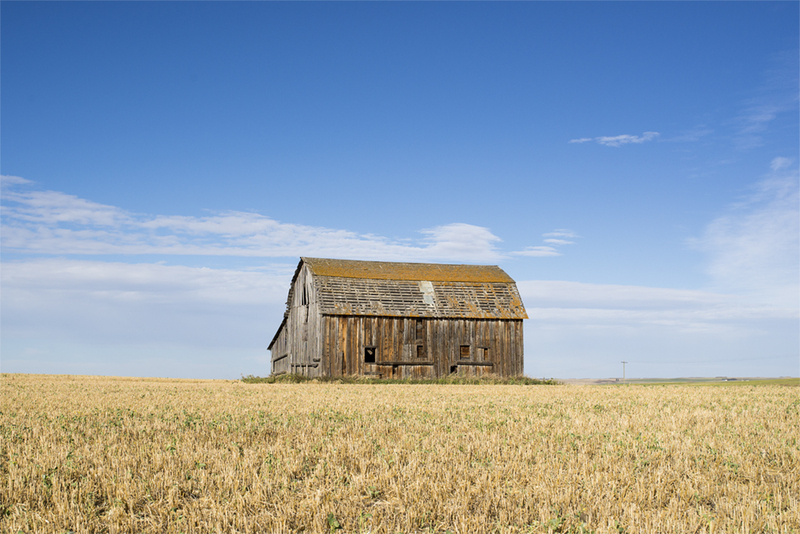 An abandoned barn near Trochu, Alberta. 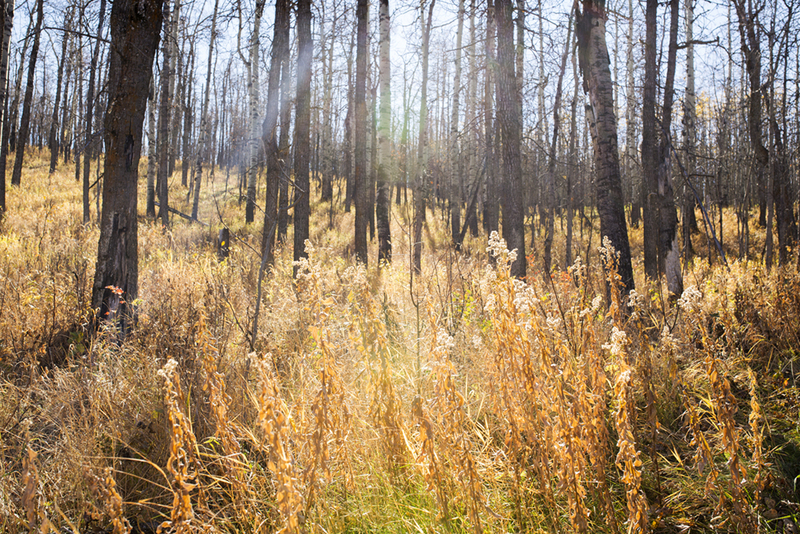 Fall sunlight filtering through the trees at Ann and Sandy Cross Conservation Area southwest of Calgary. 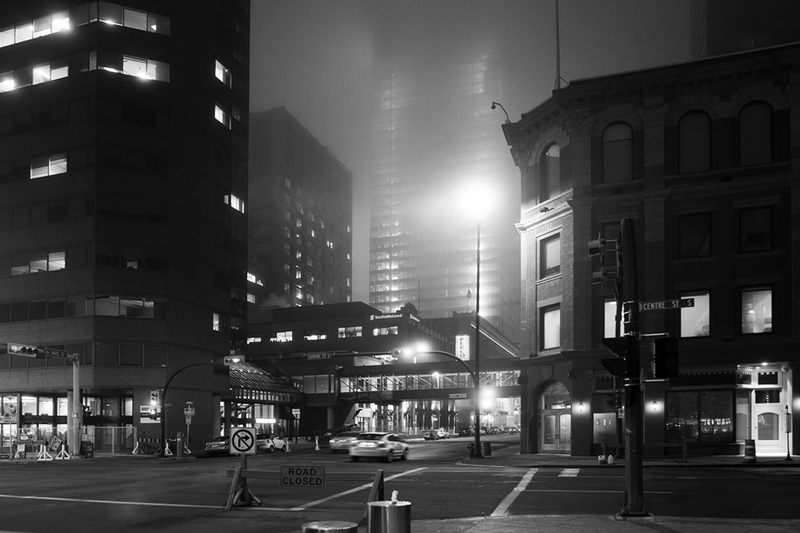 Downtown Calgary blanketed in ice fog. I woke up at 1:30 am and couldn’t get back to sleep. Checked my phone and saw alerts for the northern lights. I pulled on some clothes and spent the next few hours driving west, taking photos of one of the most amazing things I’ve seen. 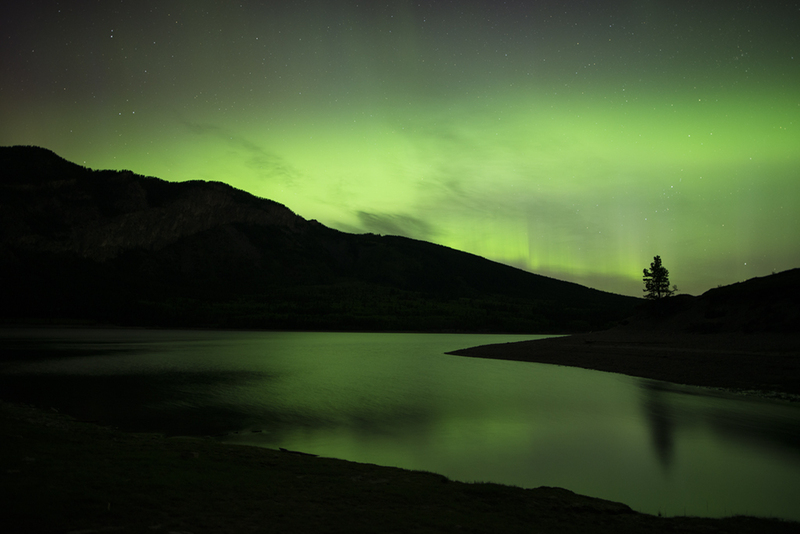 The northern lights reflected in Barrier Lake, Kananaskis at about 3:30 am. 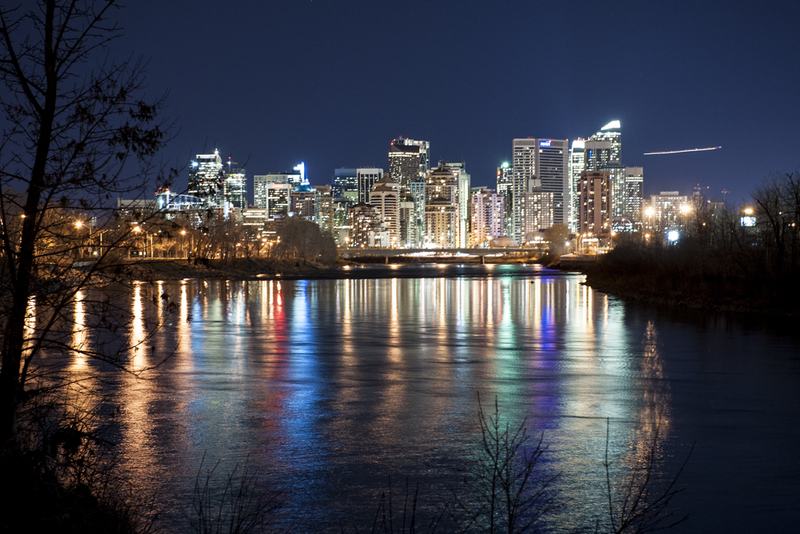 I drove back to Calgary as the sun was rising.